During this year's SXSW conference, music business professionals from around the world descended upon the capital city, and the Texas Music Office was at the center of multiple activations, co-sponsored stages, and events...including Governor Greg Abbott's press conference announcing that Broadcast Music, Inc.'s new Texas office is officially open. Although the Music part of the SXSW conference used to last only 4 days long, official music showcases at SXSW can now be enjoyed on the opening day of SXSW Film & Interactive. On Friday, March 8, the TMO joined Visit Fort Worth for the phenomenal Fort Worth on Rainey pop-up activation wherein nearly 20 different Fort Worth artists from variety of genres performed and showed off the great talent coming out of the Fort Worth music scene. On Saturday, March 9, the TMO joined our sister agency the Texas Film Commission as they hosted film industry professionals from around the world. 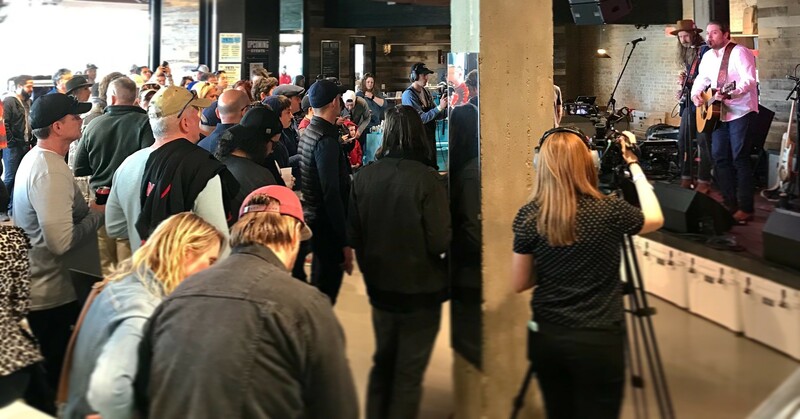 These networking opportunities during the conference are invaluable; the TMO connected with film music supervisors from the United Kingdom at this event who were specifically seeking Texas music for film and television opportunities in England. Additionally, TMO Director Brendon Anthony participated in the 2nd annual SXSW 15K bicycle ride with Fort Worth Mayor Betsy Price. The bike ride provided a fun, laid-back networking event with music, film, and business professionals from around the world. The SXSW Music Conference officially started up on Monday, March 11...and then it was off to the races for Texas artists and Texas-based music businesses participating in the conference. From the El Paso Sounds & Scenes activation at Flamingo Cantina, to the annual British Music Embassy events, to "The Future of Music Export" panel discussion moderated by Texas music economist Jon Hockenyos, to the official SXSW trade show (where the TMO & the Texas Film Commission staffed and hosted a booth), the TMO was in multiple places all at once with the goal of increasing opportunities for Texas artists and music businesses. 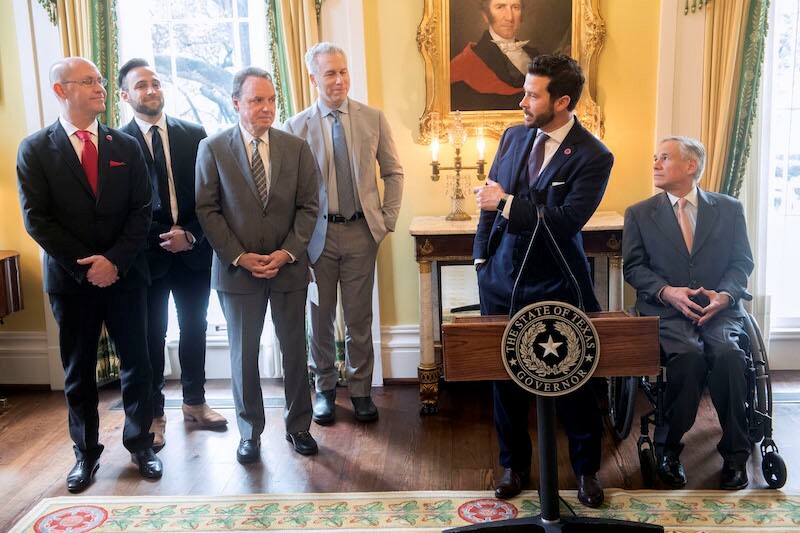 On Wednesday, March 13, the TMO joined Governor Greg Abbott, the Austin Music Movement, and Broadcast Music, Inc (BMI) for a press conference at the Governor's Mansion wherein Governor Abbott announced the official opening of BMI's new Texas office, located in Austin (pictured right). BMI executives noted that it was their first office expansion in 20 years, since they expanded into Atlanta. They noted that they anticipate viewing the growth of the Texas music scene 20 years from now, in the same way the Atlanta music scene has grown exponentially in the last few decades. On Thursday, March 14, the TMO joined SoundExchange in hosting Texas-based producers, audio engineers, and studio owners for a Producer's Road Show at the historic Arlyn Studios. SoundExchange brought an entire team from Washinton D.C. (including their CEO Michael Huppe) to discuss the benefits of the recently passed Music Modernization Act (and the AMP Act)…and notably, how the new law benefits producers. Also on Thursday, March 14, the TMO joined the City of Austin's Music & Entertainment Division in hosting the first "Music Friendly Communities" official SXSW showcase at the Sheraton Backyard. The showcase was free and open to the public, and featured Texas-based artists from all across the state. The TMO also co-sponsored and/or helped book both official and unofficial SXSW stages at the BMI Howdy Texas Party, the BMI Acoustic Brunch, the YETI Showroom (pictured left), and many more...helping more than 25 different Texas acts perform showcases during the conference.